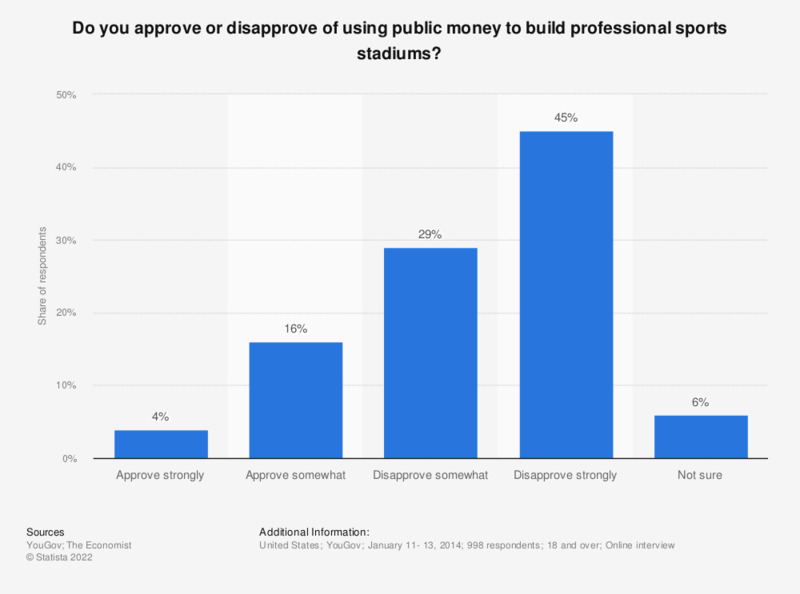 The statistic shows whether the survey respodnents approve or disapprove of the use of public money to build professional sports stadiums. Four percent of the respondents said that they approve strongly of such use of public money. Do you approve or disapprove of giving special tax breaks in order to retain or attract a professional sports team to a city?